Jeff Dunham performs at JQH Arena on February 11th! World renowned comedian, Jeff Dunham, launches second leg of his hugely successful “Perfectly Unbalanced” International tour. 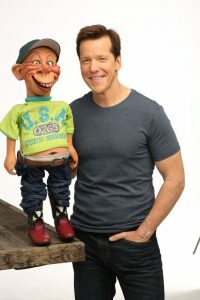 Jeff Dunham will perform Live at JQH Arena on Saturday, February 11th at 5:00pm. Tickets are on-sale Friday, October 14th at 10:00am. Ticket prices are $45.50 and $33.50 plus fees. Purchase tickets online at www.missouristatetix.com, charge by phone at 417-836-7678 or at the Old Missouri Bank Ticket Windows in JQH Arena.